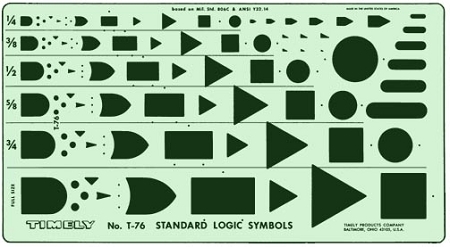 Size 5-5/8" X 9-3/4" Six sizes of logic symbols from 1/4 size to full size. Symbols are based on Mil. Std. 806C and ANSI Y32.14. Has a slide-easy lower edge strip.